Linda Waterhouse is an IC and owner of WSI Web Systems in New Jersey. 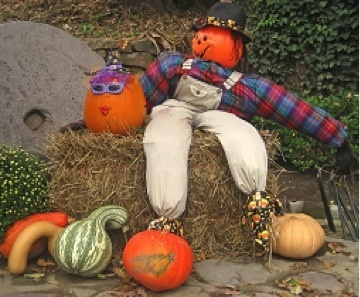 As I was driving past a farm that it is the Halloween hub-spot in my town, it suddenly occurred to me that their Haunted Hay Ride was very similar to a Pay-Per-Click (PPC) campaign. October is a very busy month for this farm – they put up lots of signs along the road, display mums and pumpkins, and offer a huge cow “moon bounce”, all of which draw extra traffic to the farm. Their “ads” driving “traffic” to their farm remind me of a PPC ad campaign that captures a user’s attention and drives more traffic to a website. The farm sells fruit and vegetables in the summer and they have a steady trickle of customers come during the summer and early fall. Then the first of October comes (the “start of the PPC campaign”) and overnight the trickle of customers turns into hoards and they have to clear out an additional area for parking to accommodate all of the extra cars lined up along the road. Wouldn’t we love all of our PPC campaigns to attract so much attention and be so successful? But then November 1st comes around and …….. there is nothing. The parking lot is empty. The budget for the PPC campaign has run out. Actually, this is the way November 1st used to be when I first moved here 15 years ago. The farm didn’t have much more than a shack at that point. As the years passed, the shack became a larger farmstand and they poured a cement floor. They cleared out a parking area and added gravel. Instead of just selling fruit and vegetables, they now sell local honey, buffalo meat, eggs, and decorations. This increase of size, improvement of their grounds, and addition of more wares is similar to doing Search Engine Optimization (SEO) by increasing the number of pages, updating the content and adding more keywords to a website. These days, the farm doesn’t close on November 1st anymore. The influx of customers encouraged them to stay open through Thanksgiving for a few years. Later they added a Christmas light show (another PPC campaign!) and sold Christmas trees. The farm is now open from February until New Year’s Eve. With the extra income generated from their “PPC campaigns”, they were able to expand the Haunted Hayride to include a Corn Maze and a Crazy House which added “credibility” and “expertise” to improve their reputation. The local community knows the October Extravaganza is here to stay and word has traveled to communities over 20 miles away. Optimizing websites by continually adding content and increasing the target geographic area through social media lets Google and other search engines know that those websites are going to be around for a while and will give the visitor the information he was looking for. Now the farm has opened annexes throughout the county. Backlinks, anyone? When prospects ask me whether they should invest in PPC or SEO, I like to give this analogy to explain the difference in how each approach helps. What analogies have you found useful? 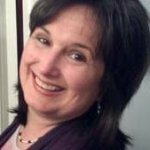 Linda Waterhouse is a Digital Marketing Consultant and owner of WSI Web Systems in New Jersey. Featured Image courtesy of Stock Free Images.